The inaugural Women’s Big Bash League (WBBL) has drawn to a close for the summer, and has been hailed as a success for women’s sport and health in Australia. The Sydney Thunder took out the title at the MCG in front of more than 5,000 fans, and more via its live broadcast on television. 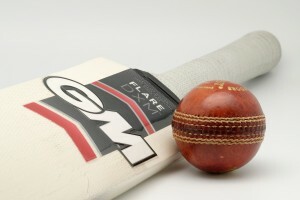 Throughout the season, matches were played at both smaller pitches across Australia, as well as big-time venues such as Etihad Stadium and Adelaide Oval as curtain-raisers to the men’s Big Bash games. A survey by Victorian health promotion foundation VicHealth last year found that 62% of Victorians wanted more mainstream media coverage of women’s sport. A number of the women’s games in the WBBL were also televised on Channel Ten and One, with viewer numbers smashing initial internal projections. In fact, a record number watched the Melbourne derby between the Renegades and the Stars in January, with a national average of 372,000 viewers. Channel Ten’s head of sport David Barham promised that the network was putting its full resources into the coverage, including the same audio-visual quality and number of cameras as used for the men’s Big Bash games. While the network had an existing $100 million deal with Cricket Australia to air every match of the men’s Big Bash League until 2018, the women’s coverage has been handled as a joint arrangement between the two parties, with Cricket Australia pitching in to help with coverage costs. The fantastic viewer numbers forced the network to shift the Sydney derby match and the final to its main channel, as well as broadcast both semi-finals. Such swift alterations to coverage as a result of audience numbers attests to the growing popularity of Australian women’s cricket, as well as the fact that the mainstream media is listening to some extent. The CEO of VicHealth, Jerri Rechter, has also praised the WBBL for inspiring women to be active and become involved in sport. VicHealth partnered with the two Melbourne teams, the Renegades and the Stars, this season to promote women’s role in sport both on and off the field. This campaign was part of VicHealth’s wider Changing the Game initiative, which is working to provide more opportunities for Victorian women and girls to participate in both organised sport and fitness more generally. Rechter noted that the WBBL granted women cricketers the chance to shine on the national stage, and had the potential to be ‘inspiring’ to ‘other women and girls to get involved in sport or be more active’. ‘With so many talented female athletes and such momentum on equality in the sporting arena, it is an exciting time to be in women’s sport,’ Rechter said. An exciting time for women in sport, indeed. This year looks set to be a big one for women’s cricket in general, with the national team, the Southern Stars, already having their international Twenty20 match against India televised live on Channel Nine. At the beginning of January, an annual Governor-General’s XI match was announced for the women’s team, an equivalent to the Prime Minister’s XI men’s cricket team. Leading cricketer and soccer player Ellyse Perry described this year as a ‘watershed summer for women’s cricket in Australia’, and noted that the main goal for the women’s code would be professional status. At the moment, even the top domestic female players earn only $17,000 per season. It is hoped that the increasing popularity and coverage of women’s cricket in Australia will assist in raising their profile, as well as provide the opportunity for more women to make fulltime professional careers out of their talent. Other recent successes in Australian women’s sporting coverage and talent, such as the Women’s World Cup in netball and soccer’s W-League which hosted its grand final at the weekend, has led to SBS Online launching Zela, an online hub for news on women’s sport led by sports reporter Lucy Zelic. Zelic expressed hope that the site would provide a safe space for women to consume and discuss sport without being harassed, as can be the case for women in typical male-dominated spheres. Those who suggest that there is no interested audience for women’s sport, such as the WBBL, are undermined by multiple networks covering the sport, and increasing audiences. This entry was posted in Sport and tagged cricket, sport. Bookmark the permalink.